Minneapolis-St. Paul ABC affiliate KSTP recently aired a story on its Eyewitness News program about the ways in which Augsburg College’s Women’s Basketball team is mourning and honoring beloved coach Bill McKee, who passed away in August. The segment shares that the team has been remembering Coach McKee with patches on their jerseys, bracelets, and moments of silence before each game. The segment features statements from Ted Riverso, the team’s new head coach and friend of McKee, and Allison McKee ’16, who is one of the team’s captains and the late coach’s daughter. Watch Augsburg Women’s Hoops Honoring Former Coach McKee on the KSTP site. Augsburg College alumnus Lute Olson ’56, a member of several halls of fame for his achievements in basketball coaching, was featured by the Arizona Daily Star in recognition of his 80th birthday. Olson was an Augsburg student from 1952-56, playing three sports (football, basketball, baseball), and earning a double major in history and physical education. Now retired, Olson served most recently as head coach at the University of Arizona for 25 years. 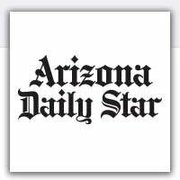 View photos on the Arizona Daily Star website that range from Olson’s days as an Auggie to a NCAA Championship coaching victory. 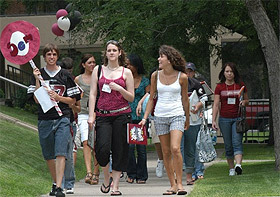 From July 20-25, Augsburg College will welcome new Auggies and their families to campus for SOAR summer orientation. Members of the class of 2016 will attend this overnight experience to meet each other and learn (almost) everything they need to know before their first day of fall classes. Since the College’s early days, Augsburg has been welcoming students from around the world to live and learn. Some come for a semester or one year, such as the students from our International Partners schools in Norway, Finland, and Germany. Many other international Auggies come to complete their degrees here after hearing about Augsburg through recruiters who travel to their cities and through friends or family members who have studied here. 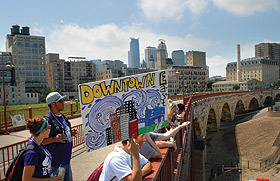 Members of Augsburg’s Class of 2012 will be on campus July 15-19 with their parents and families for SOAR — Student Orientation and Registration. This year, approximately 380 students will attend one of three two-day sessions designed to introduce students to campus life and connect them with other Auggies.